Ina Drew will retire from JPMorgan Chase. NEW YORK (CNNMoney) -- JPMorgan Chase announced Monday that Ina Drew, the firm's chief investment officer, has left the bank after revelations of a $2 billion loss sustained over the past six weeks. A statement issued by the company said Drew made the decision to retire, a move that was widely expected after the company disclosed the unit she managed had suffered a major loss. The group had been making trades designed to hedge against risk, but had amassed a large position in credit-default swaps that began to sour. One of the highest paid women in the financial industry, Drew made $15.5 million in 2010. She has spent more than 30 years at JPMorgan (JPM, Fortune 500). "Despite our recent losses in the CIO, Ina's vast contributions to our company should not be overshadowed by these events," CEO Jamie Dimon said in a statement. The company's board of directors could award additional severance pay. JPMorgan said that Matt Zames, who is currently the co-head of global fixed income in the investment bank and head of capital markets within the mortgage bank, would succeed Drew. Zames was formerly a senior trader at Long-Term Capital Management, the failed hedge fund that placed massive bets on the trajectory of interest rates and required a $3.6 billion bailout from the Federal Reserve in 1998. "Nobody knows about the dangers of what's happening at JPMorgan more than Matt," said James Rickards, former general counsel at Long-Term Capital Management. "My question for management is why didn't they enlist Matt earlier to look over Ina's shoulder," said Rickards, now a senior managing director at the merchant bank Tangent Capital Partners. "Matt would've seen this problem in a heartbeat because it's what happened at LTCM." 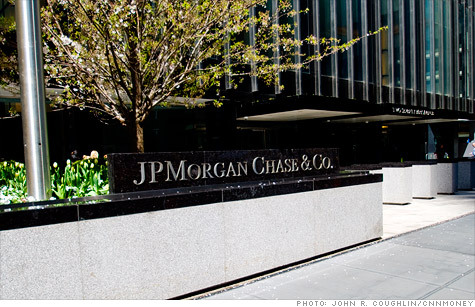 JPMorgan, the nation's largest bank by assets, also announced that Mike Cavanagh, its former chief financial officer, will lead a firm-wide operating committee that will coordinate the bank's response to the loss. -- CNNMoney's Maureen Farrell contributed to this report.